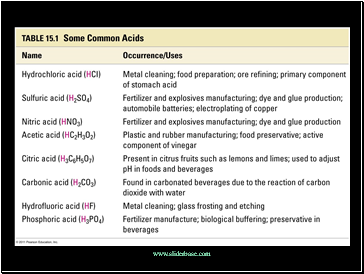 Arrhenius Acid is a substance that, when dissolved in water, increases the concentration of hydrogen ion, H+ or (hydronium ion H3O+). 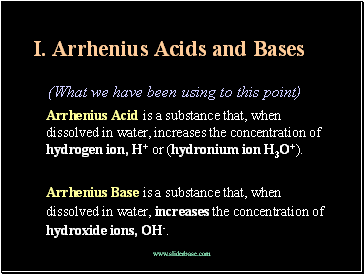 Arrhenius Base is a substance that, when dissolved in water, increases the concentration of hydroxide ions, OH-. 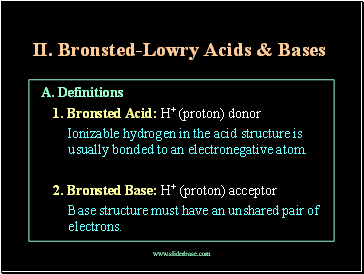 Ionizable hydrogen in the acid structure is usually bonded to an electronegative atom. 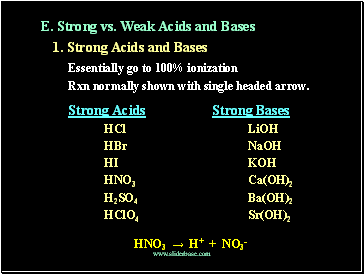 Base structure must have an unshared pair of electrons. 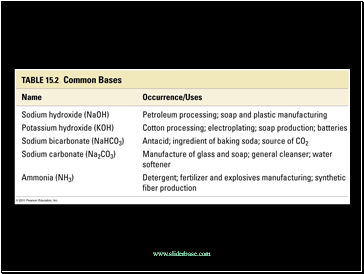 Some compounds can act as a Bronsted acid in one case and a Bronsted base in another case. 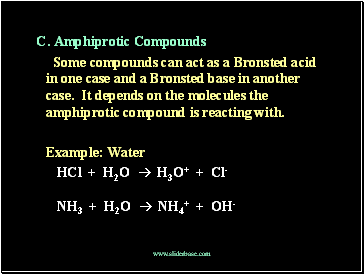 It depends on the molecules the amphiprotic compound is reacting with. 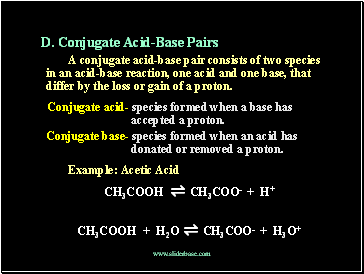 A conjugate acid-base pair consists of two species in an acid-base reaction, one acid and one base, that differ by the loss or gain of a proton. Conjugate acid- species formed when a base has accepted a proton. 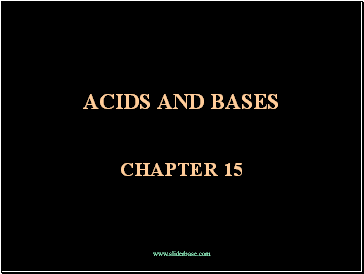 Conjugate base- species formed when an acid has donated or removed a proton. 1. 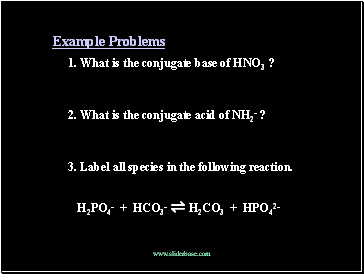 What is the conjugate base of HNO3 ? 2. 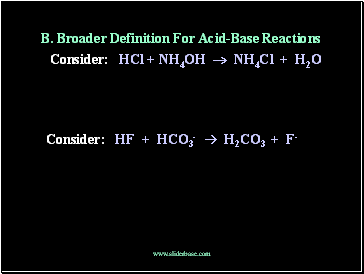 What is the conjugate acid of NH2- ? 3. Label all species in the following reaction. Rxn normally shown with single headed arrow.